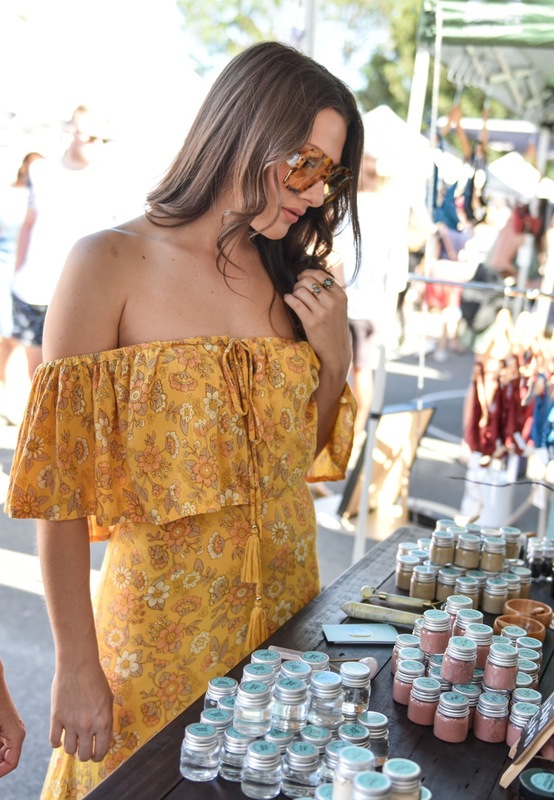 We chat to local designer Simone Ainsworth prior to her debut at The Village Markets this Sunday, 18th November 2018, about her eco-luxe cozzie label Seamone, the inspiration behind the brand and what makes her tick. I had a fantasy childhood, literally raised on the beaches of Sydney. Inevitably finding comfort in the salt and sand while learning life's greatest lessons from the sea. As a young girl I was able to understand the importance of nature and discovered I was a deeply visual person while traveling around Australia's entire coastline in a caravan my surfing father, beautiful gypsy mother and adventurous brothers. Our family then settled into a idyllic 70's beach house in Coolangatta, simply because the surf was consistent and the weather forever perfect. My late teens and early adulthood was an exploration in discovering new tropical destinations, traveling around Australia Solo, uncovering the layers of my spirituality, and experimenting with undeniable creative desires. Now with several years experience in the fashion industry... my free spirit, obsession with romance and strong sense of nostalgia plays the role of expressing the alluring femininity and sentimental emotion of the unique swimwear designs for Seamone. I am currently back living in my family's Coolangatta home, of now 20 years... Im very lucky and grateful to have the people I love around me and supporting me on this new chapter of my life... right now the world is my oyster and I'm so blessed to be in a position to welcome love and success into my life with arms wide open. After working in the fashion industry for different companies and labels for sometime, having studied Business and also gaining Fashion Design, Graphic Design, Web Design and IT qualifications, it just felt like the right time to put all my passions into one. It feels like all the pieces of the puzzle have finally come together to create the bigger picture. Now looking back on my life I can appreciate all the life lessons I have learnt and all the experience I've accumulated that has brought me here running an entire business completely on my own. Beacuse of my creative passion, I just woke up one day and just started working on Seamone and just haven't stopped since. I began working on Seamone last year in 2017 and launched the label and website site just before Christmas last year, So the business is still within its first year being available to the public, it's still very small and new indeed. I have developed 2 annual collections so far 'Black Rose' and 'Surrender' and currently making plans to begin the design process of my third collection, that will include RTW apparel as well as swimwear. The second swimwear collection SURRENDER, Crafted in premium Italian fabrics and introducing an exciting new technology that microencapsulates skin-nourishing antioxidants including Vitamin E and Aloe Vera.... works as the body activates the material, allowing the skin to be hydrated, soft and luminous. SS19 Is a simple collection with thoughtfully placed panels, quality handmade trims and romantic lingerie inspired tailoring. These limited edition separates spread over a romantically luxe palette including our new Antioxidant Infusion 'Sea Black', our gorgeous 'Sea Blue' magically made from recycled fishing nets and of course our much anticipated exclusive print 'Sea Jungle' that visually depicts our story of Surrender. Designed for those in an uninhibited and fearless pursuit of liberation and love. Seamone Swimwear is designed on the glorious Gold Coast. The patterns are all original and expertly cut in-house, fitted and refitted until the most superior shapes are achieved. The exclusive prints are either designed by myself or commissioned through artists I personally admire the most. 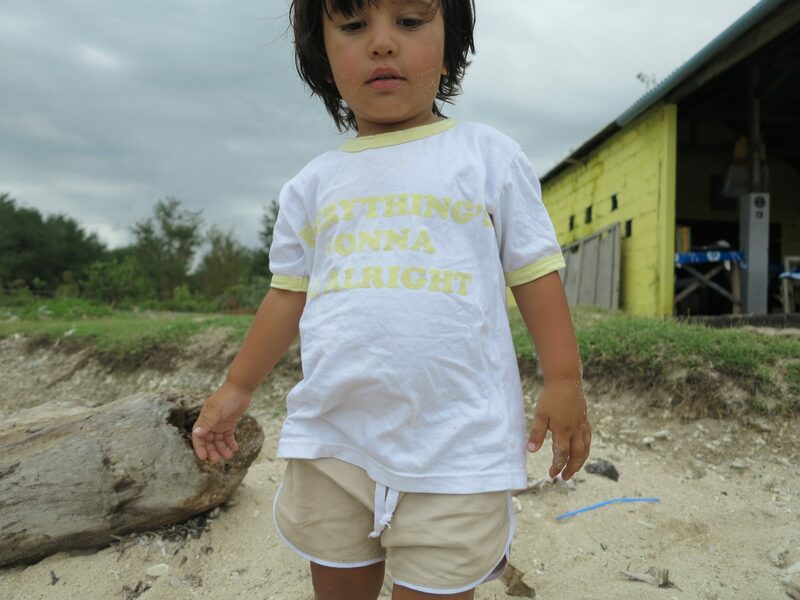 The collections are then meticulously handmade in the peaceful, nature based island of Bali. Committed to ethical business practices, I truly value my role in the employment and well-being of my team and artisans. It is my goal to contribute positively to the staff and the communities in the area so that I can be involved personally as well as professionally in Bali when I am there. The journey to create each Seamone piece defiantly takes patience and dedicated ‘island time’. The biggest challenge for me is defiantly the emotional roller-coaster, I'm naturally a very soft/watery person...very sensitive, very shy. I run the label completely solo, so to stand up and take the role as a boss woman is a huge 180 for me to step out of my comfort zone. I have also felt this struggle to keep the fashion and my spirituality seperate... I've felt a collision, and been on a quest to find balance and merge the two... I have to mediate alot on certain things, the intention for what I am doing has to be from the heart. I like to be a very private person in all aspects of my personal life... so putting something out there to the world that deeply reflects who I am... has been a really scary thing to do. The best thing about having my business, is the creative control and having the freedom to express what I think is beautiful. Combining all my passions into one. My favourite part is shooting the content, that's when I push myself and can let my imagination run wild. As a start up its hard to know if your on the right path or not, and I'm really just trying to let go and enjoy the lessons and the process as much as I can. I think the most positive thing I have noticed... are the changes with in myself... I've become stronger in the sense of my values, using my voice and taking control in reaching my goals. 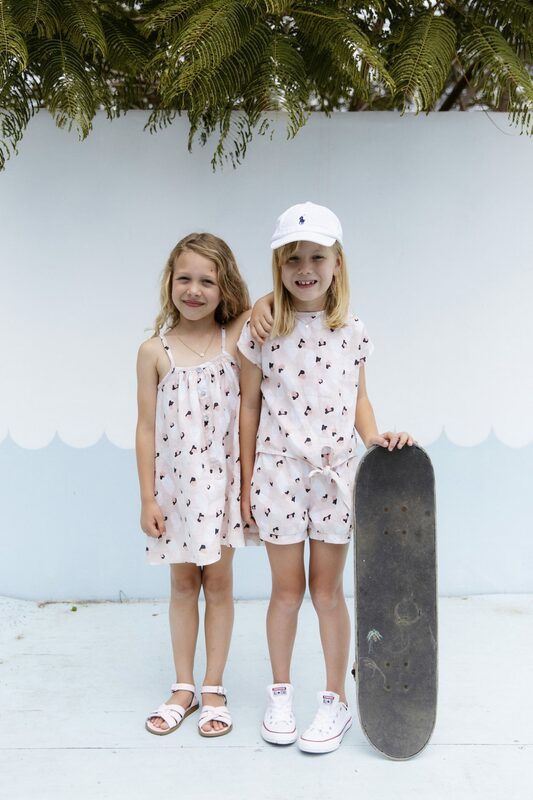 Meet Sally and Elke, mothers to a tribe of boys, surfers and creators of Halcyon Daze – the brand new swimwear label you need this summer. As well as being a mother to three young boys, Sally has an environmental science background as well as working as a town planner and project manager for the last 10+ years. She was very much in need of a creative outlet when the idea to create Halcyon Daze came about. Elke is a mother of two young boys and has a background in fashion and design, having worked in sewing and alterations for years. The story of Halcyon Daze is one that begins with friendship. 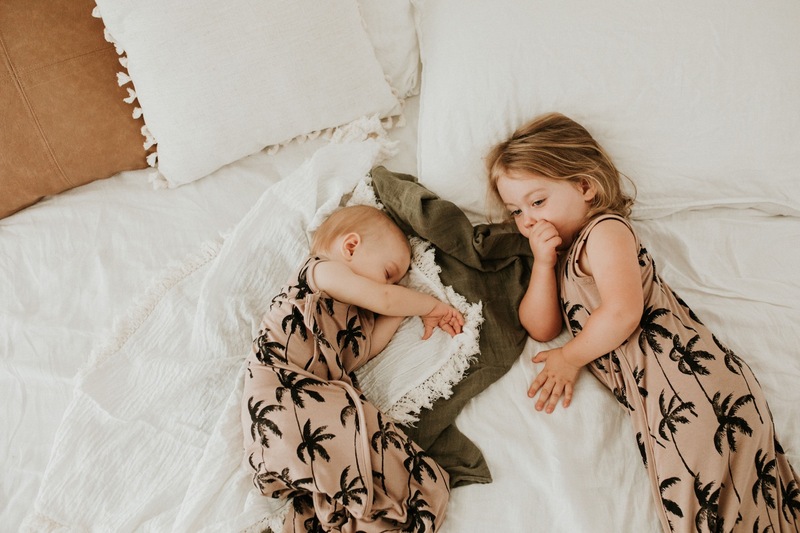 Two women connecting over a shared love of the ocean, a passion for surfing, avid bikini collecting and motherhood. We are the type of women that seem to live in our swimwear year round, as you never know when the opportunity to sneak in a surf or a quick dip in the ocean may present! Born from a desire to create unique, comfortable, flattering and functional swimwear......it seemed like a no brainer that we put our creative passion into use creating our own swimwear range. We took the plunge mid 2017, learning the ropes along the way. Our first range "Love Song" was launched in October 2018. Our swimwear embodies the slow fashion ethos in the swimwear landscape, focusing on using Vita lycra- a high-quality Italian lycra made from recycled post-consumer plastics, making this beautiful swimwear not only environmentally conscious but more durable and longer lasting to ensure that you can wear your favourite pieces for many summers to come. Our styles and prints are vintage inspired and include one pieces, mix and match bikini sets and surf suits. We also have capsule collections of resort wear, including 70's style jumpsuits and slip dresses on their way. 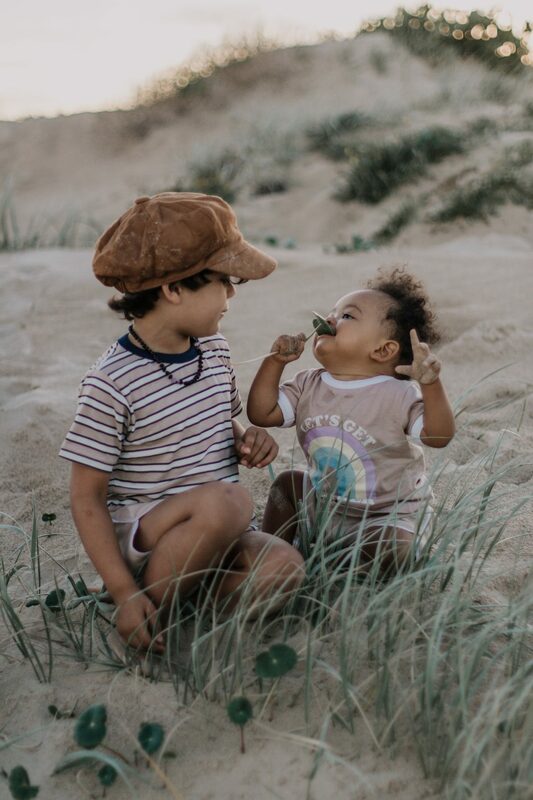 Our clothing and swimwear is designed by us, in Byron Bay. We have also designed our own prints too. Our manufacturing is done in Bali. Our daily life in Byron is a constant source of inspiration. We are surrounded by incredibly talented and creative friends who help drive our startup business and inspire us to chase our creative passion. They have shown us that running a successful business and juggling a family life can be done with style and grace. Our love for everything summer, surfing and our environment are our main source of inspiration. 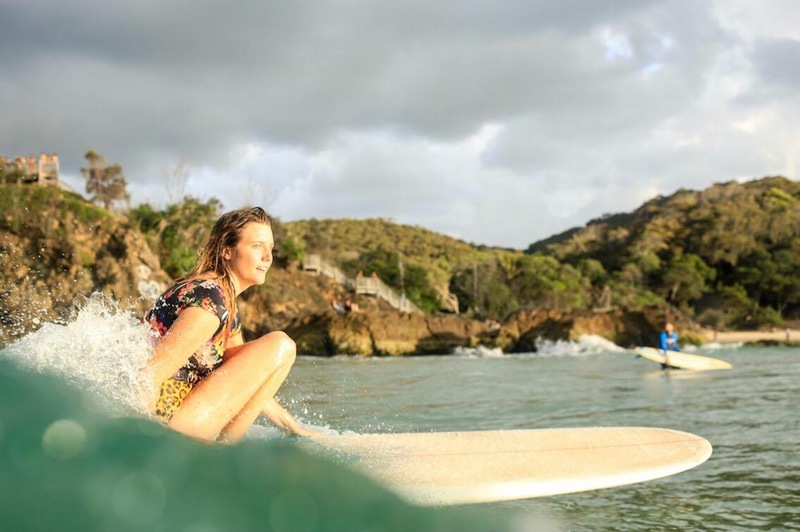 We hope to be running a successful swim and resort wear label, scouring the world for exotic tropical locations to shoot (& surf) and seeing women around the world in our swimmers. Our biggest challenge has been learning the production process and time-frames, however we have a great team and loads of support, so this will get easier. 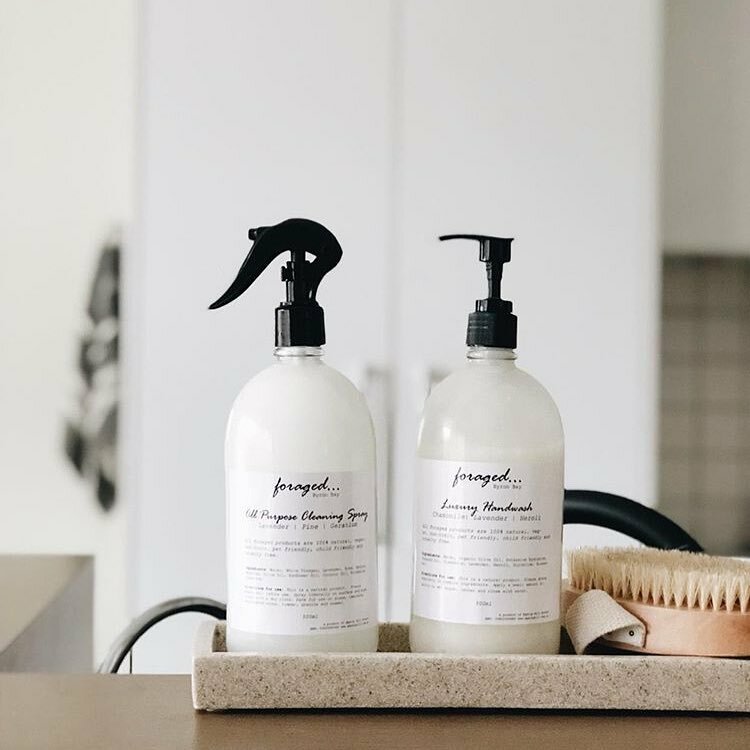 The best thing about owning our own business has been working together as friends and creating a product that we both love and are passionate about. Work has never felt like a chore, as we are doing something we both love. The other perk would be our never ending bikini supply! Find Halcyon Daze at TVM this Sunday 4 November and check them out online here. There's a certain art to ensuring your stall looks inviting, well thought-out and importantly your products highlighted to maximise sales. 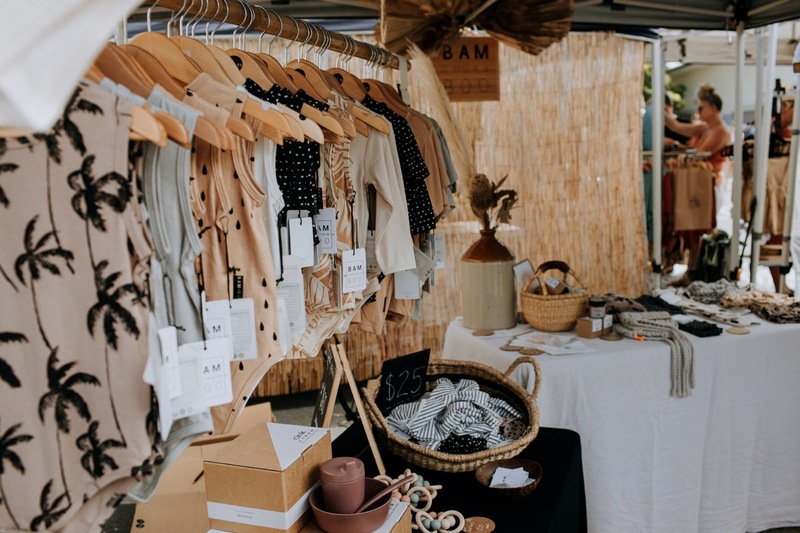 We spoke with the master Kari, from Night Tiger and got the low down on Visual Merchandising for your market stall. I first learnt about visual merchandising when I was working for a designer label called 'RICH' in Melbourne. It was a large store on Brunswick street Fitzroy consisting of Australian made but Italian sourced fabrics with Men's and Women's clothing shoes and accessories. My manger had been professionally trained and every Monday we would re-merch the store for a fresh look. She taught me everything she knew and I realised I loved the process. I worked there for about two years and then for a few other labels in Melbourne. 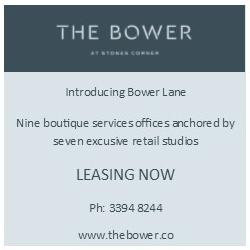 When I moved back up to the Byron Shire I worked with my dear friend Rowie, from Rowie the Label. I worked for her for about four years at the headquarters managing stock and online customer service, retail in her shops and sometimes doing markets. I worked in a lot of different roles at the label, one of them being a favourite, Merchandising her stores. I created Night Tiger because I had always loved making my own clothes and dressing up (I also have a background in dance where I made a lot of costumes). After a while people wanted me to make clothes for them because they liked the garments I was wearing so I realised that I could make a small business out of it. I did a course in Fashion Design and Technology and it kept growing from there. I never over clutter my stall. Variety and options are good but simplicity is key, especially clothing racks, not having too many items on each rack so the customer can easily touch and see each item. Have an inviting space. Possibly something the customer can walk into and a centrepiece of some sort, maybe a table or rack in the middle is good for me. Occasionally I will hang macramé or hanging pants to compliment the clothes but not always. A little bit of extra decor is always nice though as customers don't like feeling to exposed in a bare open selling environment. For each rack in my stall, the clothing is hung in a complimentary colour scheme. I also hang things in a way so that the longer items and shorter items aren't bunched together and it all has a flow and balance on the rack. 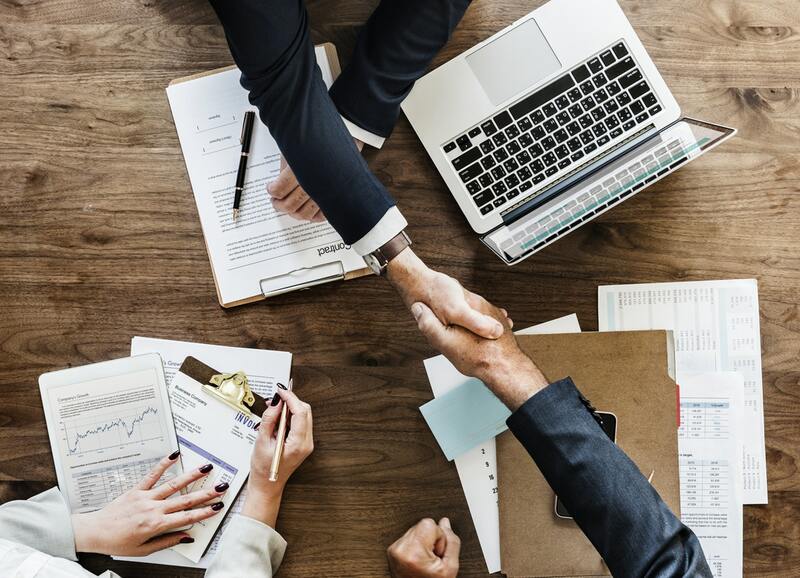 These factors are aesthetically pleasing to the human eye and unconsciously it draws customers in as there is an ease for them to look at it all. My racks and the way the clothing is presented is the main focus of my stall. Having some sort of Mat or floor is really good because it separates you from the path outside and psychologically 'slows' people down in your stall to stay a while and relax and have look. The stall should just have an over-all simple shop feel. I try to keep all equipment that is not necessary out of the stall i.e. marquee covers, rack ropes, trolleys.....anything that's not nice to look at. And my extra clothing boxes of stock I put under a table or cover with nice discreet throws out of the way. Thanks so much Kari for this incredibly insightful info! You can find Night Tiger at most TVM events, including the next one on Sunday 5 August 2018. When Love St contacted us wanting to launch their latest collection 'Wish You Were Here' at TVM, we were all over it. This banging brand is one of the longest standing at TVM - in fact the lovely Tara was peddling her wares at our first ever TVM back in 2008. 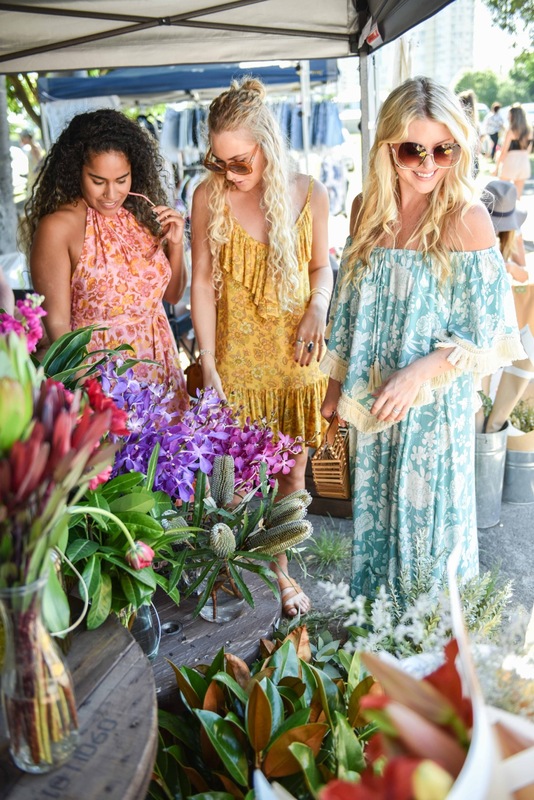 The ladies (and little boho bebe Birdie) strolled TVM pumping 70's tunes, rocking vintage shades and bright floral prints in true Love St style. Check out these snaps by Santography (another TVM fave). Find Love St at the next TVM, Sunday 1 July 2018 (and most other TVM events). The GC is cooling down and lucky for you, you can catch new stall EST 1971 at TVM this Sunday, peddling their Windy's. What's a Windy you say? 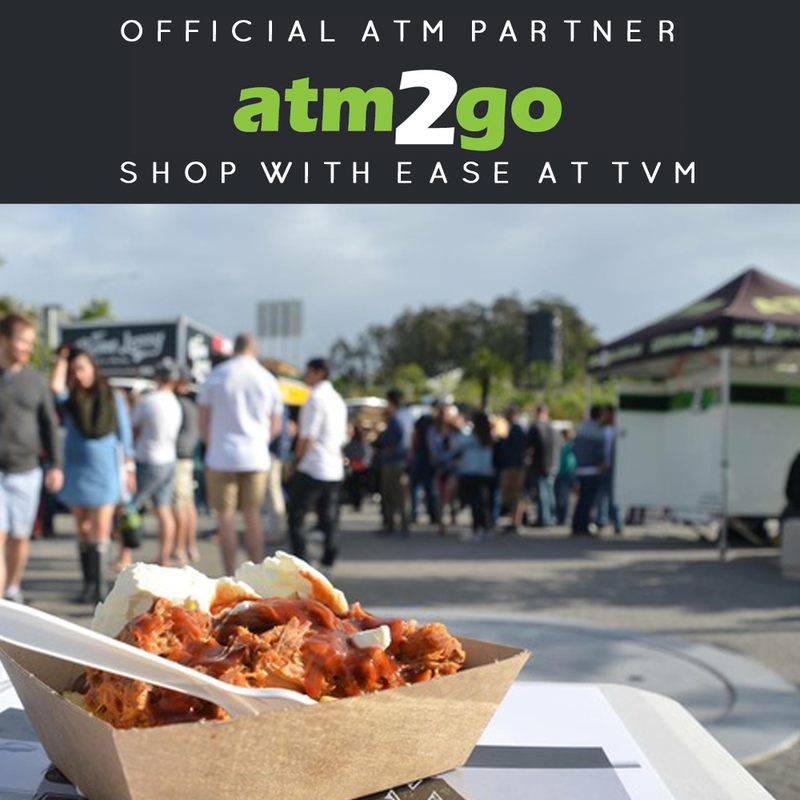 Read on to find out more about EST 1971 co-founder Jayne who alongside her business partner and bestfriend Sophie, will be bringing her brand all the way from the Mornington Peninsula to join us at TVM for the very first time this Sunday 6th May. In a short paragraph, tell us about your background — what did you study or what field did you work in prior to starting your business? Jayne: After completing an Economics Commerce Degree I found my way into Advertising, which I have been doing for the past 20 years. I have worked both here and overseas in a variety of roles. Some of my major clients were fashion brands which helped fuel my desire to one day start my own label. I grew up with a very creative mother who had my sister and I on the sewing machine making dolls dresses from a very young age. If we weren't sewing, we were embarking on some other creative pursuit from pottery to jewellery making. My mother passed away from Ovarian Cancer when she was only 56 and I was 34 years old. There’s nothing like losing your mother at a relatively young age to make you realise life is too short not live your passions. It took another ten years and the birth of my two children, Maggie and Sammy, for me to finally start my own label with one of my oldest and dearest friend’s Sophie. We have known each other since we were 12 and can pretty much guess what the other thinking. Style essentials. We want to create pieces that can be worn and worn and you always feel good in them. We have launched with the much loved ‘windy’ (sweatshirts). We agonise over every detail and won’t put anything out there unless we absolutely love it and don’t want to take it off. The label is designed here in sunny (ok mostly rainy) Main Ridge on the Mornington Peninsula. Travel, where I live, nature, art, vintage fashion. I adore colour and texture and find inspiration everywhere from a painted door to a piece of ribbon. As long as people keep buying certain pieces we will keep making them and will add new pieces as we perfect them. We want to keep our brand purposeful and true to our essence - everyday style essentials that you can wear and wear. Believing in myself. I think you have to just decide to give it a go and do it. My mother used to say to me all the time “The only difference between you and them is they are doing it”. The ability to make and back your decisions — good and bad. You can waist so much time and energy doubting your idea or capabilities but not everything has to be solved in a day. Just get started, focus on what you are passionate about and everything else you can figure out along the way. 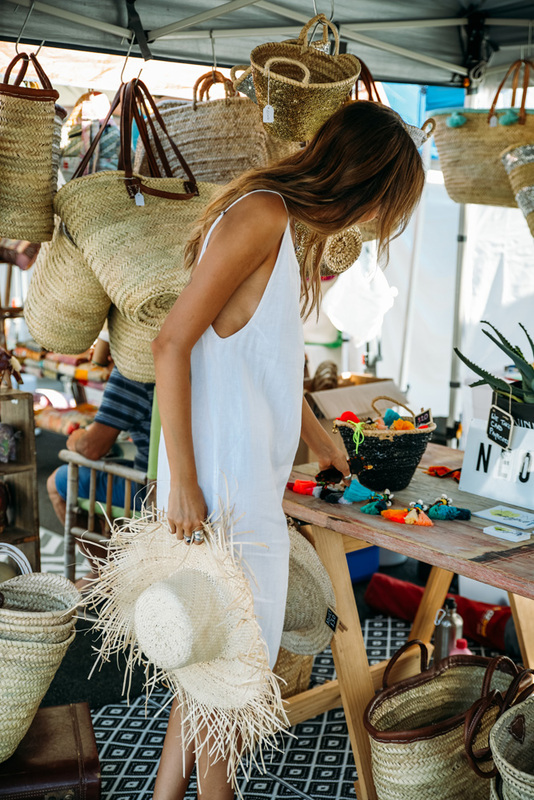 Fresh new talent to grace TVM this Sunday is Nicole Jenner, with her beautiful eco and ethical homewares label F O R A G E D Byron Bay. 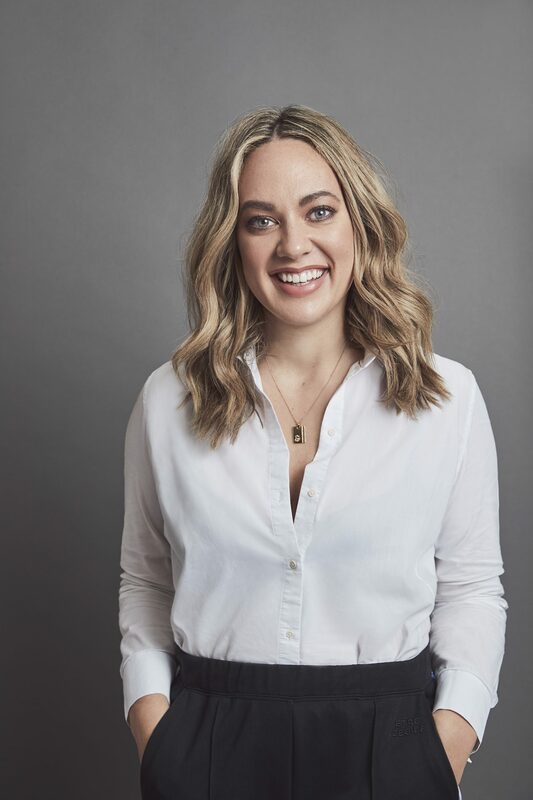 "I have a varied background, after completing a Bachelor in International and Community Development I spent 10 years working in the Foreign Aid industry. I travelled the world, visiting disadvantaged communities, learning their culture and witnessing first hand their beautiful wares and their simple way of life." I have always been interested in design and interiors, but travel gave me a real passion for supporting small producers and ethical products. 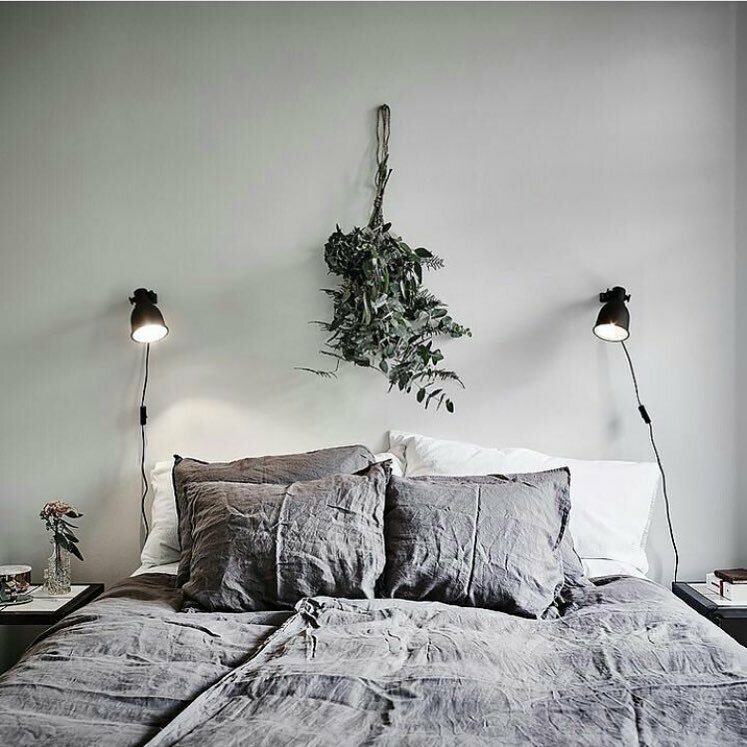 I then studied Interior Design at CATC whilst still working, in a hope to learn more about the homewares industry not really having any plans to pursue it, it was more just out of a genuine passion to be a more ethical consumer. Just under two years ago, we made the big move from Sydney to the Byron Hinterland. After coming up on a short holiday we made an impulsive decision to move and only 8 weeks later we had purchased a small block of land. It is only 7 acres but still a HUGE change from our tiny 2 bedroom inner city apartment in Sydney. It was a big learning curve, but we have loved every minute of working the land and cultivating a garden and building a new slower way of life. Over time, and a lot of googling we have managed to plant out a growing herb garden and made efforts to live more simply and sustainable, including making a lot of our own household products. 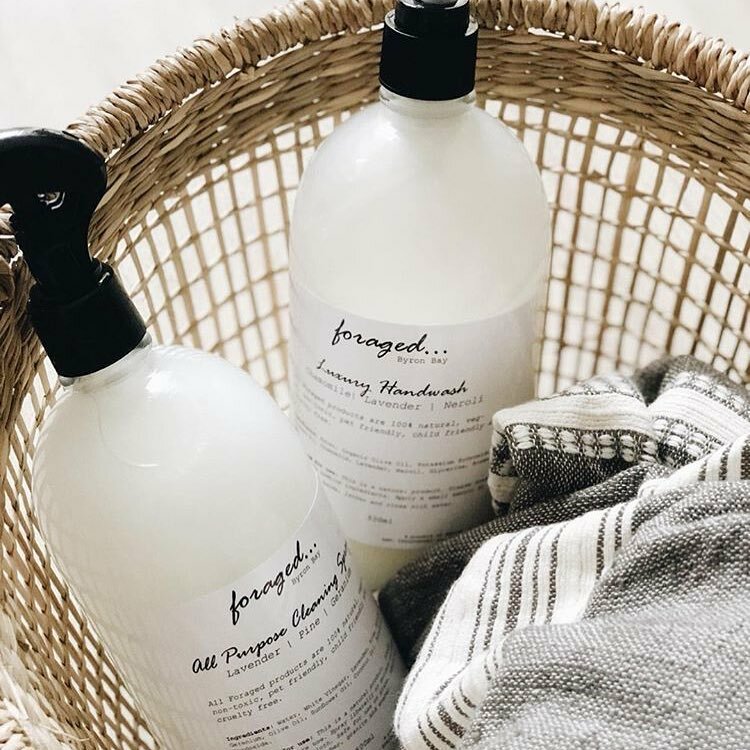 Our label is based on my passion of Eco and Ethical homewares and consists of a full range of small batch, 100% natural and vegan cleaning products and an eco-linen range. The F O R A G E D cleaning range includes kitchen, laundry and floor cleaning options. We are passionate about producing a high quality, low impact product and therefore use only the highest-grade essential oils and include home grown produce where-ever we can. 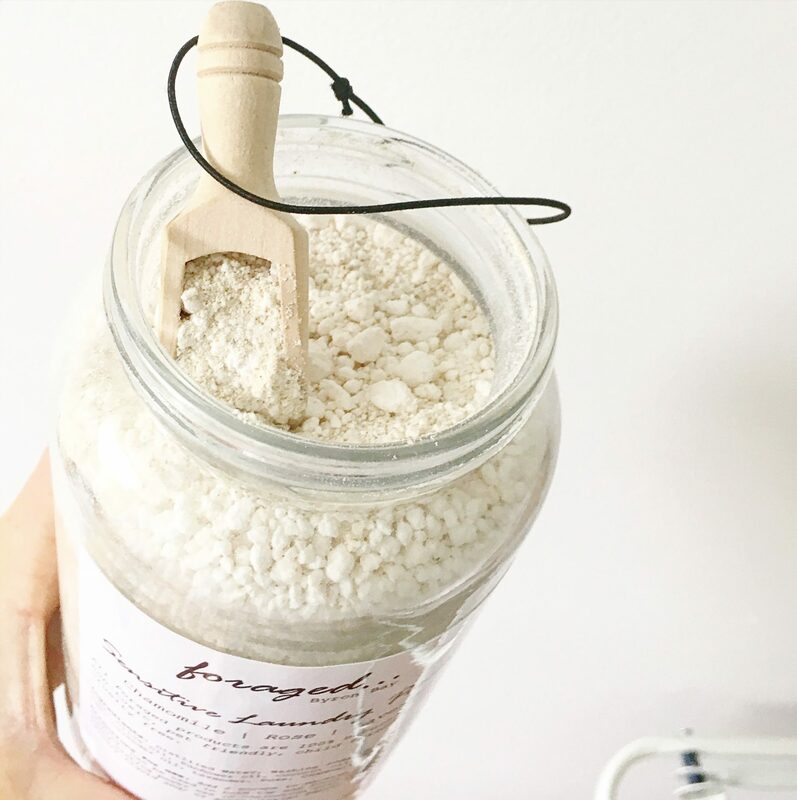 All Foraged products come packaged in 100% recyclable materials, from the glass bottle to the waterproof label. We would also like to encourage the minimal use of plastics in our products so all our products are sold with a recyclable aluminium cap allowing you to reuse your last plastic spray trigger or lotion dispenser should you wish. 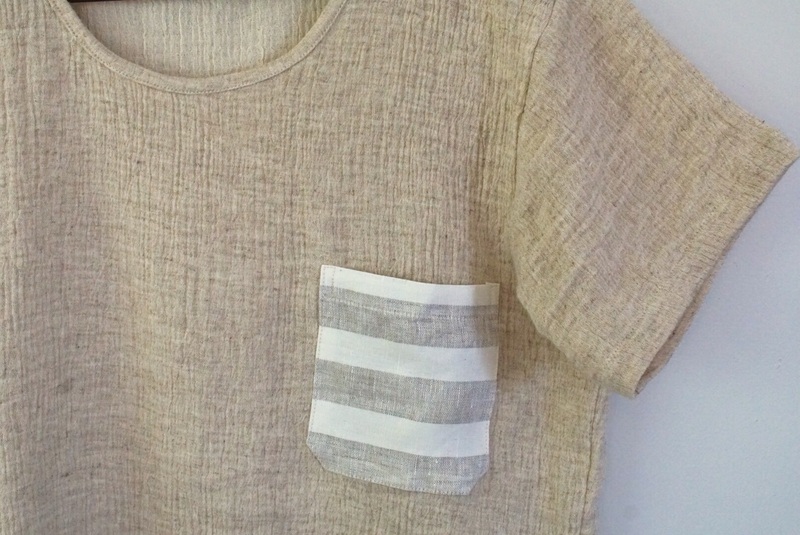 We also stock a beautiful eco linen range made from 100% Belgian flax linen in a range of beautiful dusky pastel tones. 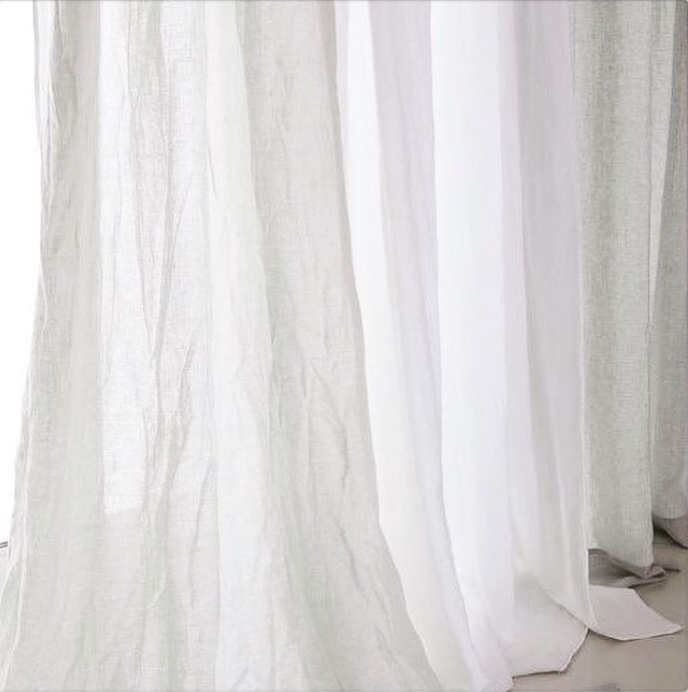 This beautiful range of linen was awarded the 2015 GALA Gift & Life Instyle ‘ECO’ Award. A stonewashed linen, made in Belgium under the Masters of Linen Certification, which is a guarantee that the European flax is grown and processed in accord with strict environmental and labour standards. 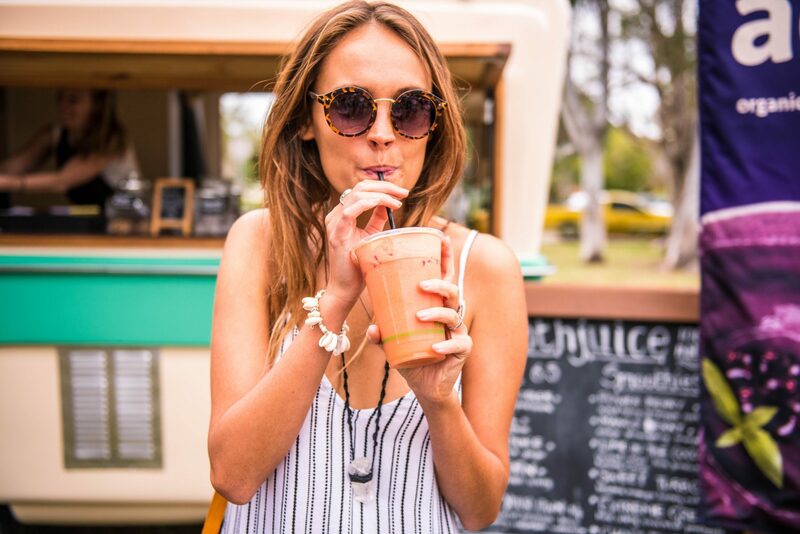 All our products are designed and handmade in Australia using ethically produced, low impact ingredients. I am inspired by people mostly, strong people carving out their own path through hardwork and being true to themselves. I love to travel and see how small communities work together to build beautiful things from skills passed down and simple materials. I want to use this thinking to give more options for people to still live beautifully but also tread lightly. What began as a small roadside market a mere 10months ago is now being stocked in 8 beautiful outlets and showcased in the homes of some of the beautiful, stylish people that have inspired me throughout the years. I am already so grateful for what I have been lucky enough to achieve. Going forward I would like to expand the brand, the more I learn about the daily items we use the more opportunities I see to find better ways of doing things whilst still being luxurious and beautiful. I am always hunting for beautiful things, fabric, patterns, process etc. Having your own brand and business takes a lot of work and starting out means you have to put yourself out there which can be daunting. But I have found if you love what you are doing and are passionate about it you will find a community of people who love it too! So many things! Having a little one the flexibility is amazing! I probably work more hours a day than I would with a full time job but I have the flexibility to still get a lot of time with him, which is very important to me. It is also so rewarding! It’s true, when you buy from a small business someone does a happy dance! There is so much push and pull out there it can be easy to lose your way. Find your individuality, what it is you love, your image, write it down and stick with it. There will be trends they come and go and whilst it’s important to grow and develop, don’t lose what makes your brand yours! Connect with F O R A G E D Byron Bay, here. New to TVM and our Startup Stall recipient for this week is Nu Natives. 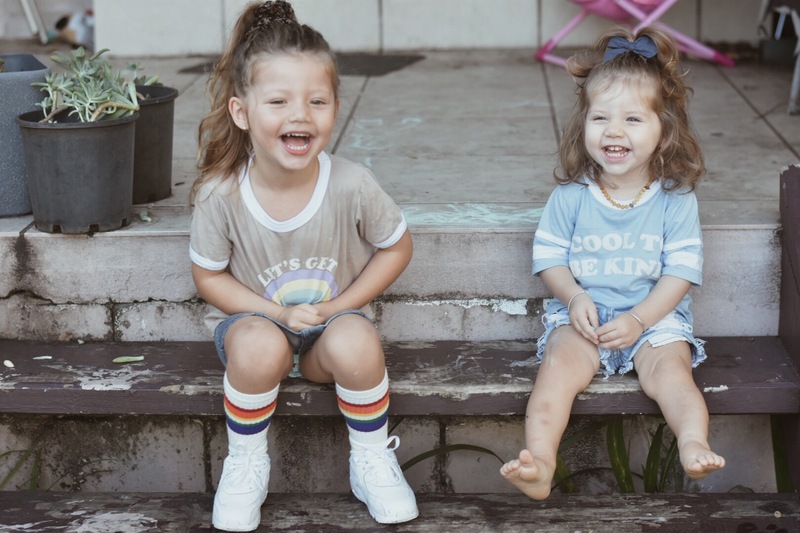 Nu Natives is a vintage inspired kids label stocking old school threads and jewels for the minis. 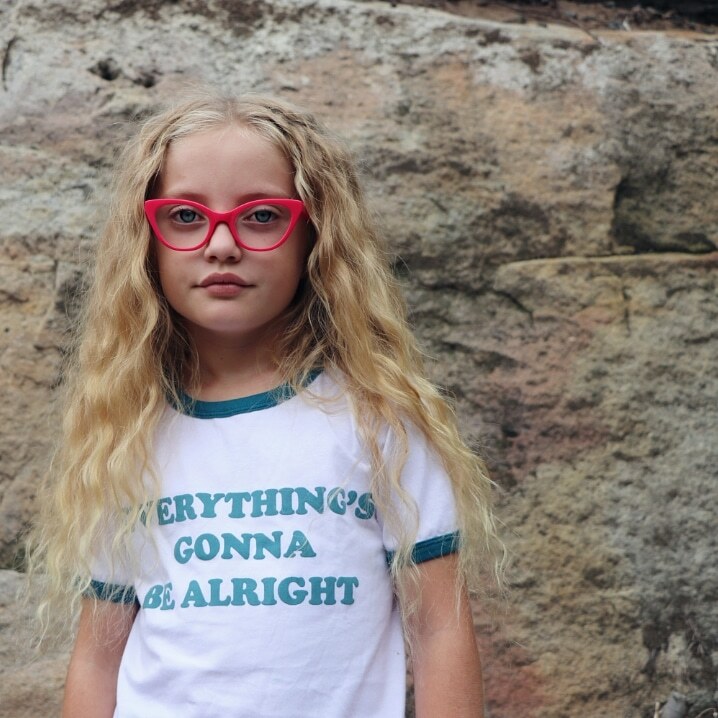 Their products currently consist of 100% cotton tees, shorts and kids sterling silver jewellery, plus a range of kids vintage sourced from around the world. We love that Nu Natives pieces are ethically and consciously created, too. 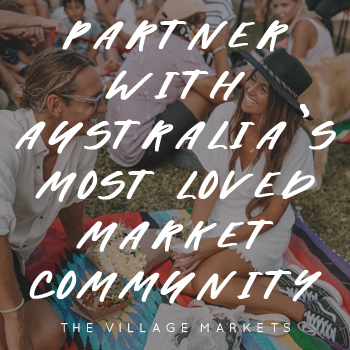 Find founder Eliza and Nu Natives at TVM this Sunday 1 April and you can also shop online, here. The mother-daughter duo behind WILD HEART Jewellery can do no wrong and they've recently launched their latest collection, Into The Mystic. Here's a glimpse of their latest campaign shoot and you can find the lovely Samara and Julie at TVM this Sunday 3 December. 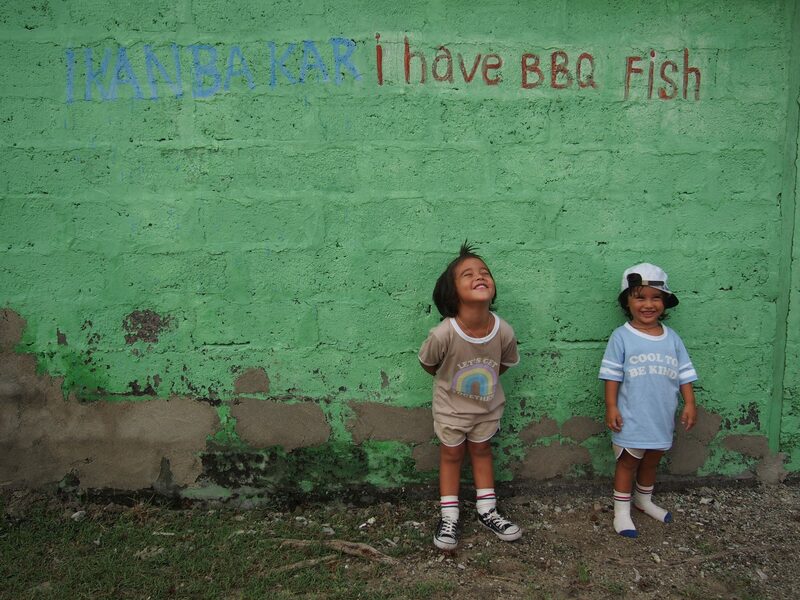 It's been three whole weeks since our last TVM, so bring on those good vibes this weekend! 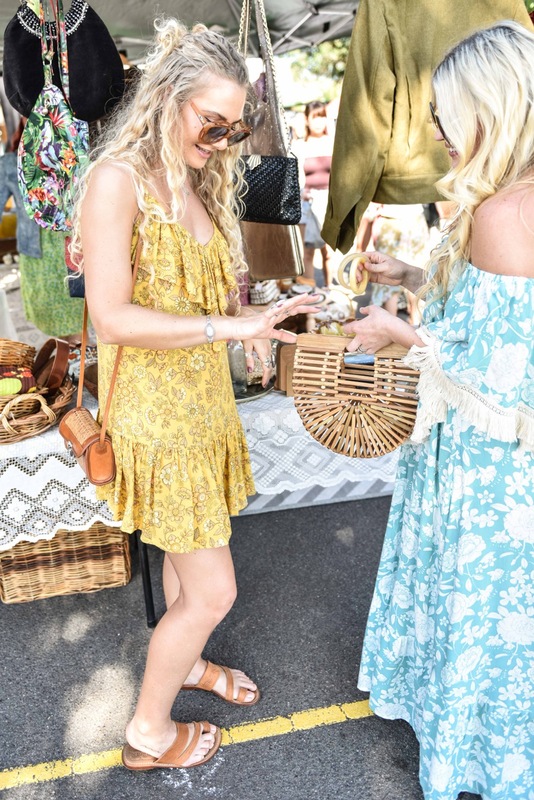 We've got a huge lineup, with over 100 boutique market stalls, our montly pre-loved designer and vintage Rack Sales, street food and live tunes across two stages, plus this weekend we have face painting for the kids! Food by CAPTAIN CROQUETA, Flat Earth Organic, HUNGARIAN FOOD FACTORY, Jardin Juice Co, Little Sprinkles Bakery, Little wahaca, smoothjuice, Spud The Food Truck, The Popular Food Cart, the wiener haus and more. AKAZI, Always On The Run, Anchors & Horizons, ATMOSEA, Attic Collective, Au Fait, Bali Batik at Home, Boho Candles, Bones Society, Bonita Havana, Brave & Fearless, Caz Creations, Comfort and Calm, Divine Creatures Jewellery, Dusty child, Eco Sisters - Beauty Buffet, Enrich Natural Body Care, Face Painting By Uliana, , Forgotten Modern, Hakea Swim, Halo & Horns, Hatch 4221, Iron and Cub, Jack Tars Locker, JASMYN ELIZA, Jbk, Joe Weaven, Keep you wilde, Lakiki, Larissa Lea Art, Leather Me Baby, Limbo Collective, little drifters, Little Leas, Little treasure trove, LOBSTER SHANTY, Love St, Lulu Stars, Maginis Bikinis Australia, Magnolia Storehouse, Malu Le, Max Loves Coco, MOOI, ms mel, My little glass jar, Nat Kent Jewellery, Neon Magpie, NOOSE & DAGGER, OLAS SUPPLY CO., OneThing The Label, Organique Bebe, Rustic Peppermint, Santography by Danny Santangelo, Sepoy Trader, SHUTURP, SPARK OF WILD, Studio Lemonade, Sunny+Finn, tails swimwear, The Elements Co.,The Hidden Way, The Naked Paw, The Sleep Suite, The Sunlounge, Two Darlings, VANTOM, W I L L O W, Waikika Moo Cow, Weave and Willow, WILD HEART, Willow & the Little Gypsies, Zeffa and Fosse, Zoozap Eyewear, ZYLO and more. Check the live tunes lineup, here. 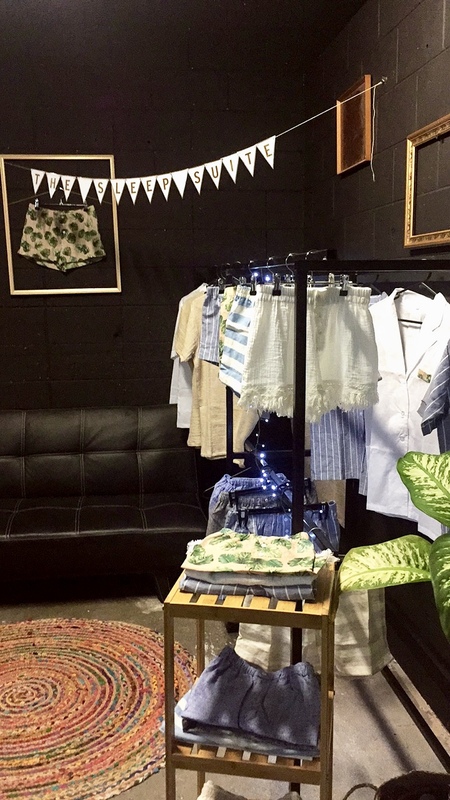 Fresh new creative talent to hit TVM this Sunday and winner of our TVM Startup Stall initiative for this week is, Amy Parr and her label The Sleep Suite. 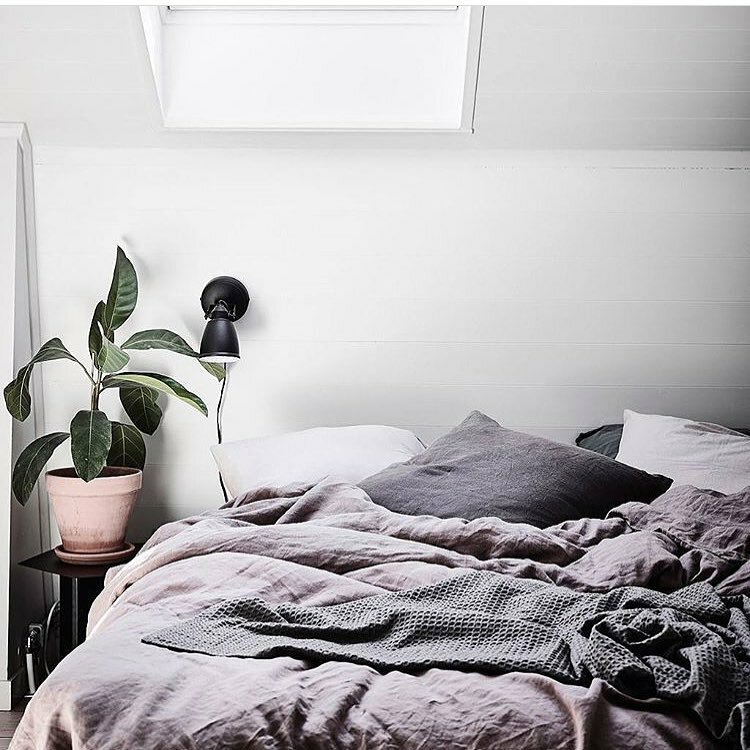 "The Sleep Suite was created in July 2017 after my partner and I finally decided to bite the bullet and follow through with our idea - and once we did, it happened really quickly! 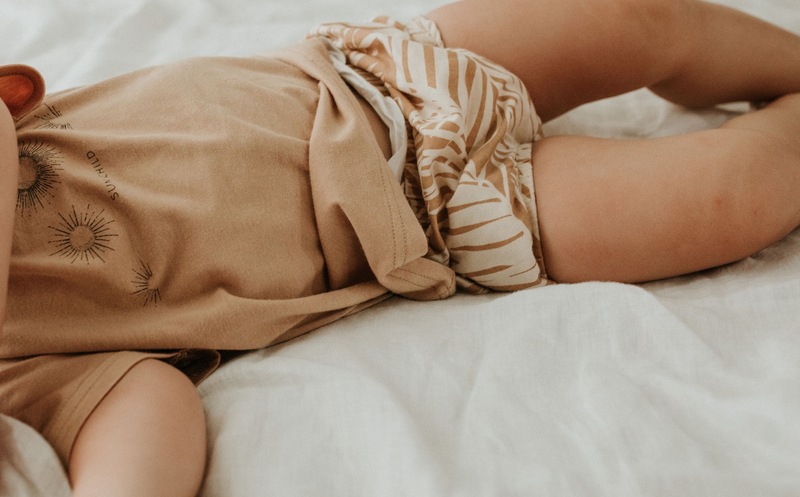 I was really over buying or receiving expensive sleepwear that didn't fit me properly, and was not eco-friendly or ethical. In the beginning, it was a small dream I didn’t think would ever come to fruition. I started researching fabric suppliers that fit in with our beliefs and before we knew it, our island holiday turned into a business deal and we had officially made our first line! 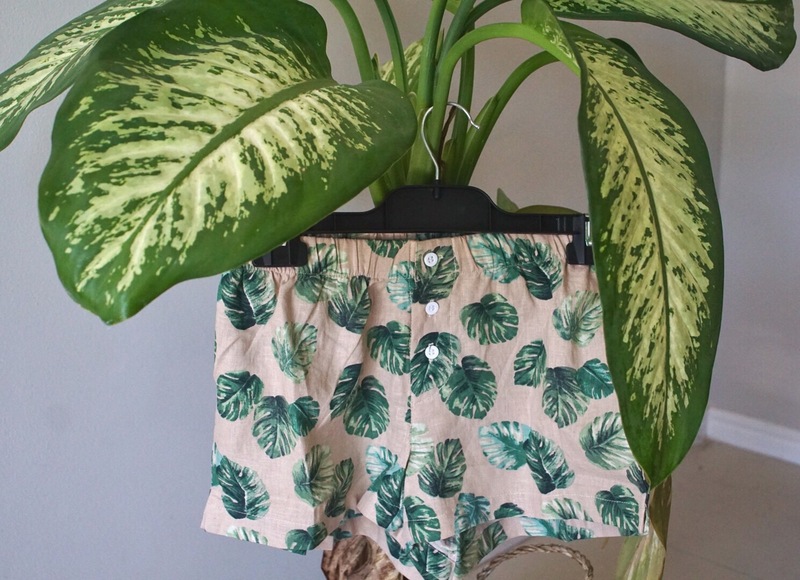 We created our items with the aim of being able to wear them from the bedroom to the beach, thereby minimising at least 1 extra item of clothing people bought and creating change in the ‘fast fashion’ industry. What pieces are included within the debut collection? 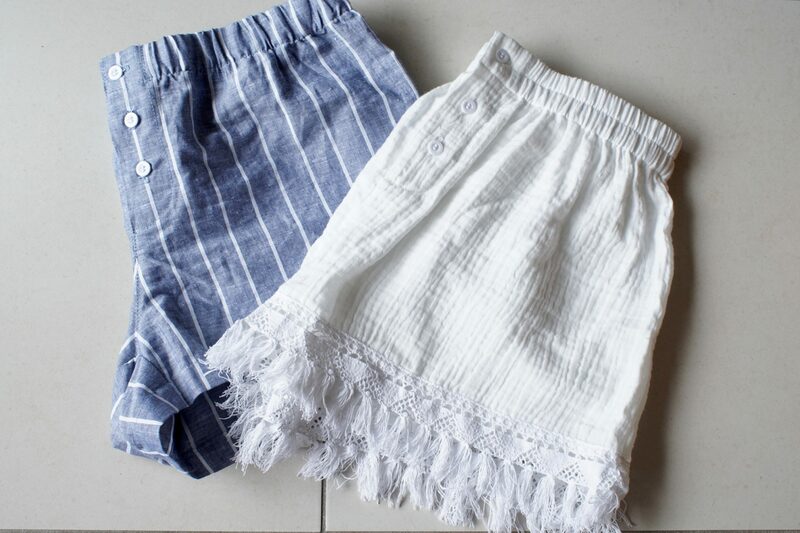 We feature sleepwear and beachwear made from beautiful, natural fabrics such as linen and cotton. At the moment we have menswear and ladieswear that can be worn as sets or separates. I would like to say I have a large creative background, but I don’t! Nathan is quite the creative guy, but after I took an interest in fashion, the extent of my background is buying a sewing machine this year and researching how to make sleepwear! I could never draw, but I like to think my creativity extends into the design process. 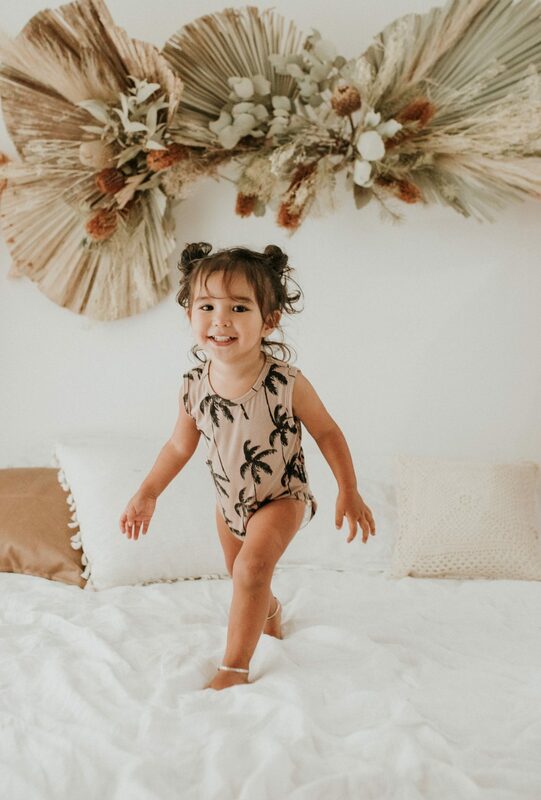 Our items are designed here on the Gold Coast and then our ideas are taken to our awesome little tailor in Indonesia and brought to life with their help. Without them our items would only be ideas. Our amazing backyard: The Gold Coast. But also anything island vibin' and natural. However a big inspiration is our aim to create change in the world and inform people there’s more to fashion then buying cheap throw away items. I’m motivated by helping people with their purpose on life and giving back to the lives of others. I really want to help create transparency in the fashion industry as well as give people quality items that are made with love and worn with love. 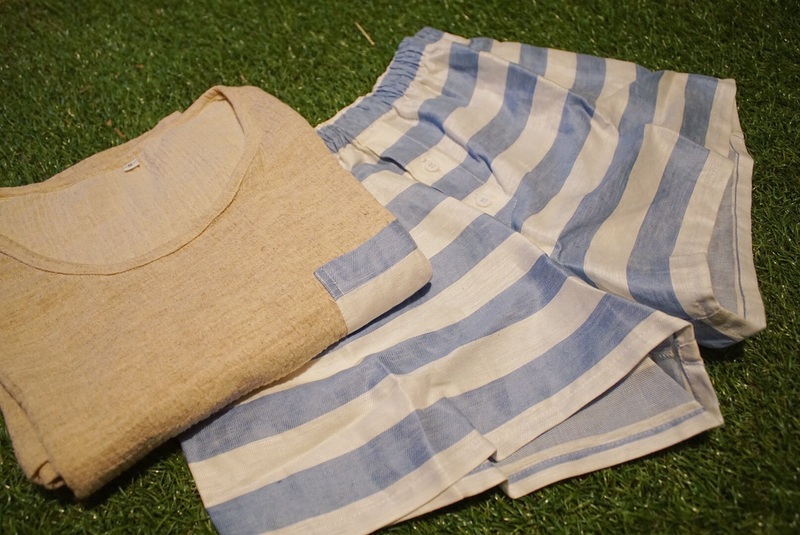 Think uber cool linens and cottons in natural colours and stripes. 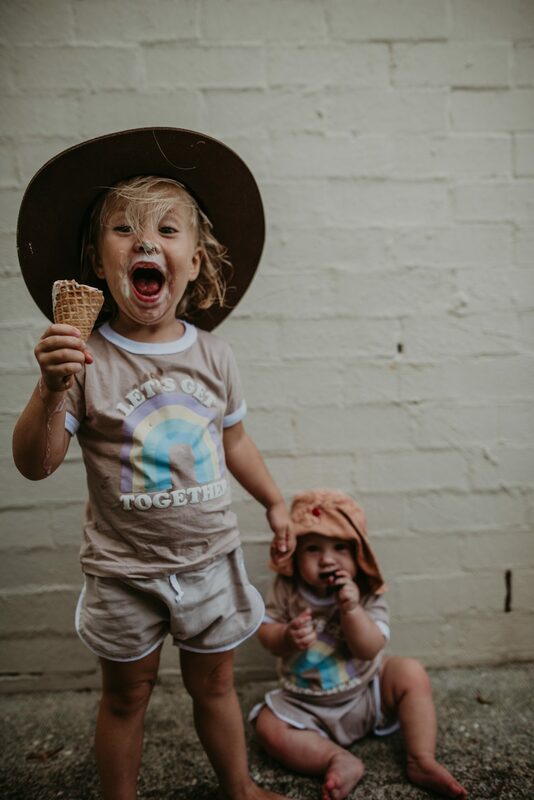 We have also teamed up with an Australian company to develop plain organic tees with unique screenprinting to bring relaxed summer vibes to life. What's on your mood board? My mood board consists of good food, health posts, natural fibres, fabrics, island inspiration, quotes and anything that fires me up at that point in time. What’s your creative space like? My creative space is my uni workspace that I have transformed into my sewing space. Here I have my workbooks, fabrics, crystals and candles. I don’t like to be confined to one space, so I take my laptop to my favourite coffee shop down the road and zen out with a coffee. What music do you listen to while designing/creating? This varies a lot! Depending how I am feeling and what I am creating, I listen to anything from Northlane and Parkway Drive to INXS to pop music. A day in the life of you consists of? At the moment no two days are the same. As I’m a nurse, I usually get up early, grab a soul warming coffee from Frankie Espresso, then go to my nursing job for the day. Afterwards, I head to the gym before heading home and cooking up a hearty dinner. On my days off you will find me enjoying the sunrise followed by coffee and then full days of researching and designing for The Sleep Suite. Favourite TVM stall (besides yours of course)? I LOVE all the food stalls, especially Mio Wraps because let's face it, who doesn't love food?! 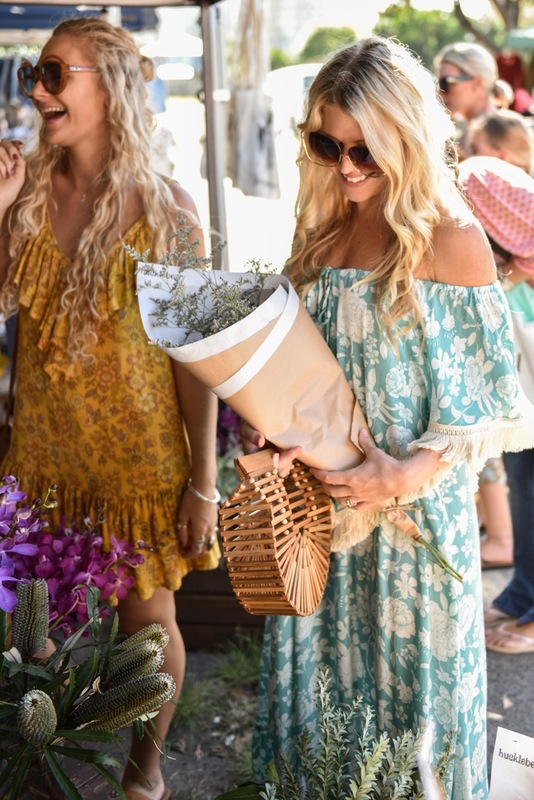 But I always love peeking my head into the latest fashion and jewellery stalls such as Annette Daley Designs, Frankly My Dear and Akazi. So many books! I absolutely love Shantaram by Gregory David Roberts and Girlboss by Sophia Amoruso. I’m also really into Collective Hub and Peppermint Mag as they have great reads on entrepreneurs and small startup businesses. What are we likely to find you wearing on market day? Something super comfortable and breezy. I do like to support local businesses so it could be overalls or a dress from The Bare Road. I love The Bare Road, Kivari The Label and Faithfull the Brand. What can we expect from the next collection/what are your plans for 2017 and beyond? I am planning on joining forces with designers to create unique, sustainable pieces whereby a portion of sales will be dedicated to charity and communities that are affected by UNfair and unethical trade. 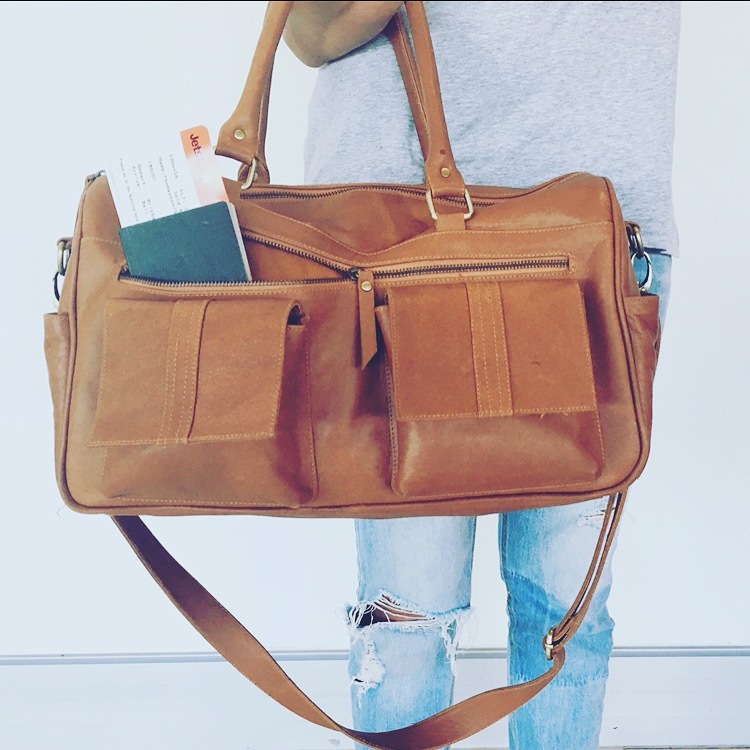 We aim to travel to various countries and source unique fabrics for individualized items that people can design themselves, all while supporting workers who get forgotten and underpaid. 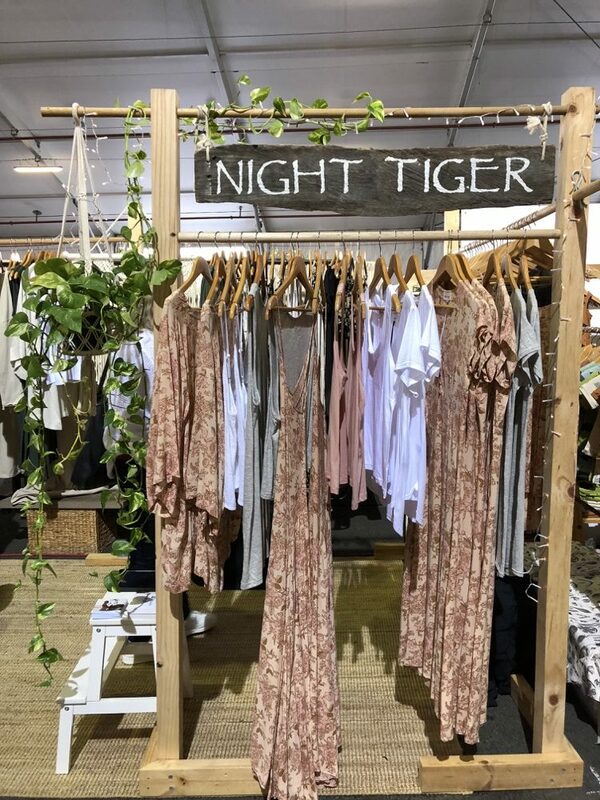 As for our next collection, we are planning on creating light, earthy slips and sleepwear combos that suit the GC climate and are made from organic silks, cottons and natural dyes. Keep those eyes peeled! I love the ethics and values of TVM. I think it’s an incredibly valuable community where people appreciate your work. It’s also the best place to network and find out what people actually want! 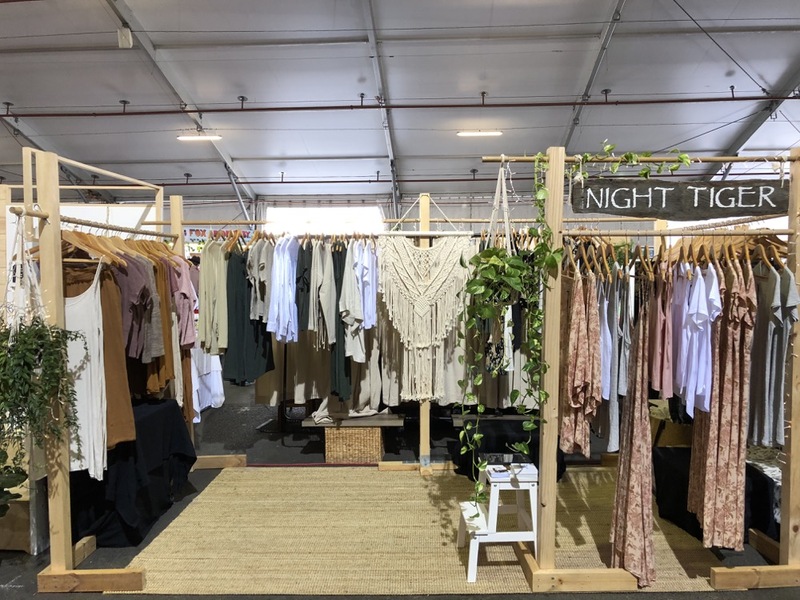 Connect with The Sleep Suite on Instagram and check out the wares on Sunday 15 October at TVM! No Comments on It’s TVM time baby! Yay Sunday - we've been waiting for you! 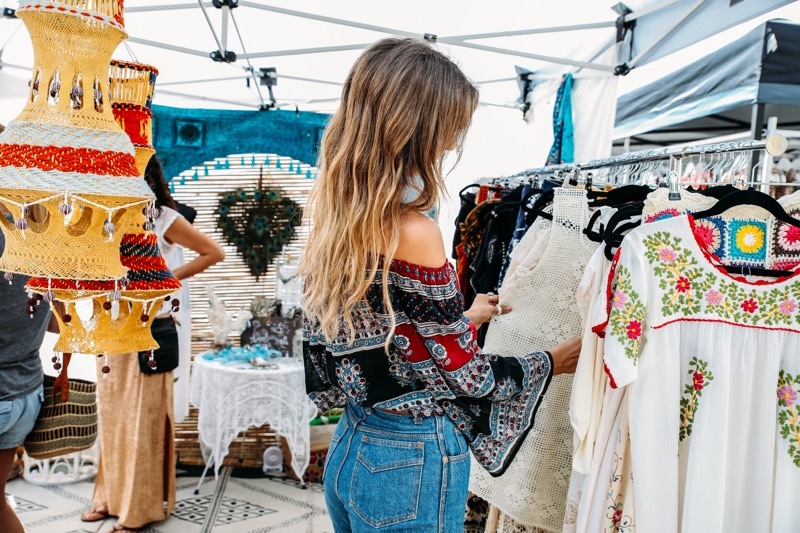 Time to shop boutique market stalls, devour delicious street eats, chill to live tunes, scour pre-loved designer and vintage Rack Sales, meet friendly creative folk and enjoy the Gold Coasts best market. 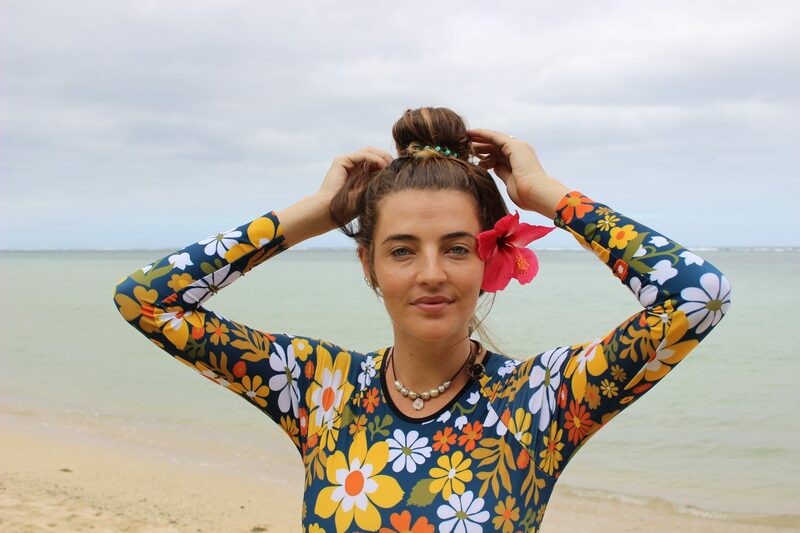 Introducing Poppy Kaalund, surfer, designer and founder of Tall Poppy Surf and the latest recipient of our TVM Startup Stall initiative. TVM: Tell us about how and when your label was created? TALL POPPY SURF was created out of the desire for stylish looking and better fitting swimwear that's practical for surfing. In 2014 I started making swimwear on my domestic machine for myself and friends. I then looked for work with a swimwear manufacturer to further hone my skills where I learnt to make swimwear on industrial machines. I then purchased the industrial machines that I needed and started TALL POPPY SURF as a hobby on the side of a full time job. After a surf trip to the Mentawais in 2015, I was even more inspired to make swimwear with a focus on beautiful prints and vintage inspired silhouettes. I am not into g-string cut swimwear for surfing so when I talked to other women who surfed, I realised I was not alone in my pursuit for style and practicality. At the end of 2016 I decided to leave my full time job and work for myself because it was so fun and the feedback I was getting from friends, family and customers was very encouraging. What pieces are included within your range? I have worked as a designer for many years for companies such as Ripcurl, Billabong, Phyllis Boho & Mimosa just to name a few. I decided to take a leap of faith and start my own brand in 2016 designing and making swimwear for women who surf and like to be active in the water with a sense of style. I design and hand make all my swimwear right here in Burleigh Heads! Other people who follow their true passions is always inspiring whatever their endeavor and travel is always inspiring as it takes you out of your comfort zone and teaches you to deal with challenges and you get to meet new people that change your life forever. One Pieces in a variety of vintage inspired prints and shapes. I LOVE vintage prints so my mood board is covered with prints and also female surfers who shred. If I look at their pictures for long enough, just maybe their skills might symbiotically work their way into my surfing. It’s a very modest space within a big factory in Burleigh Heads. It is my home away from home so I’ve made it very comfortable with a cool couch for lounging and everything I need to create in a harmonious environment. I have all my favourites on hand through Spotify. I LOVE music and must have music playing while I work or I cannot work. Lately I’ve had Solange on high rotation (Album: A Seat at the Table)… but I have a playlist I add to nearly everyday which consists of everything from Outkast, London Grammar, Blondie, Prince, Living Colour to Billy Ocean! And sometimes I turn the radio on to 94.1 FM – GOLD!!! Either a swim or surf most mornings, then into my factory space to work/ play for the day. Lunch and Dinner are very much thought about and are a big part of enjoying my day. 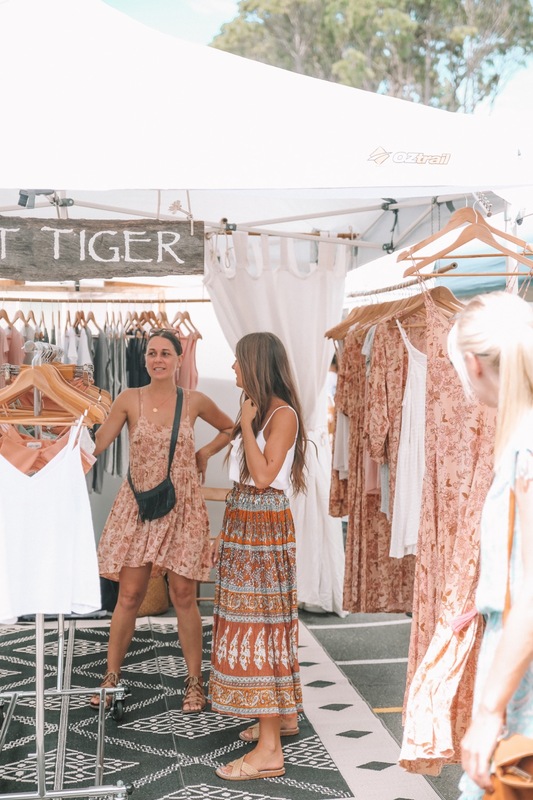 To be honest, I am a born again virgin to TVM as I am usually out looking for surf on Sunday mornings…but I want to be more involved with the markets and I look forward to discovering my favourite stalls. I’m guessing I’ll be scouring through the vintage clothing racks mostly and at the food stalls! I’ve been on the search for a good book of late. I love reading autobiographies, I find them very inspiring. the last book I read was Amy Schumer’s “The Girl With The Lower Back Tattoo” which made me laugh but also made me feel better about being an introvert. What are we likely to find you wearing on market day? Any favourite labels? I am obsessed with One Pieces so probably either a jumpsuit, playsuit, Overalls or Pinafore and most probably from the Op Shop. What can we expect from the next collection/what are your plans for 2013 and beyond? Expect more vintage inspired and beautiful prints. I will also be adding clothing to my collection in the flavour of One Pieces. TVM seems like the perfect place for me to display my products. 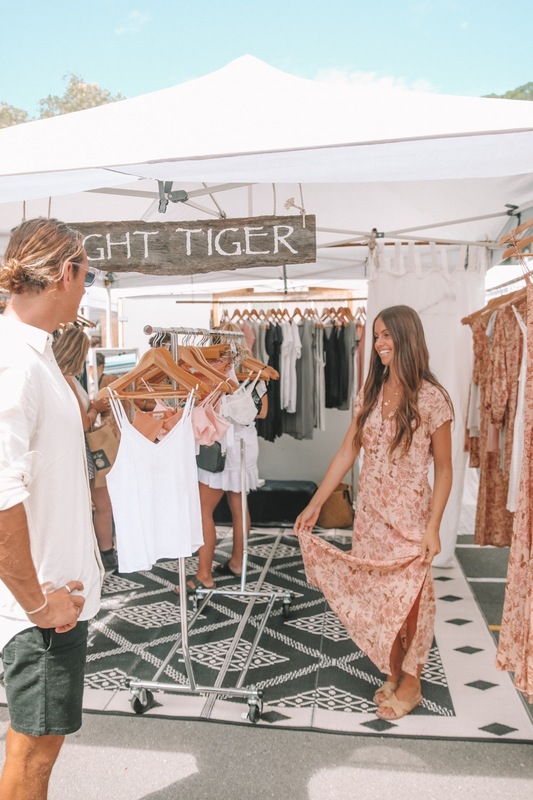 Located in Burleigh Heads, TVM is my local hub for all things I love: food, fashion, creative peeps and good vibes. What do you love most about attending TVM? I love that it’s keeping the community spirit and culture alive by giving small businesses like myself a platform to showcase our creativity. 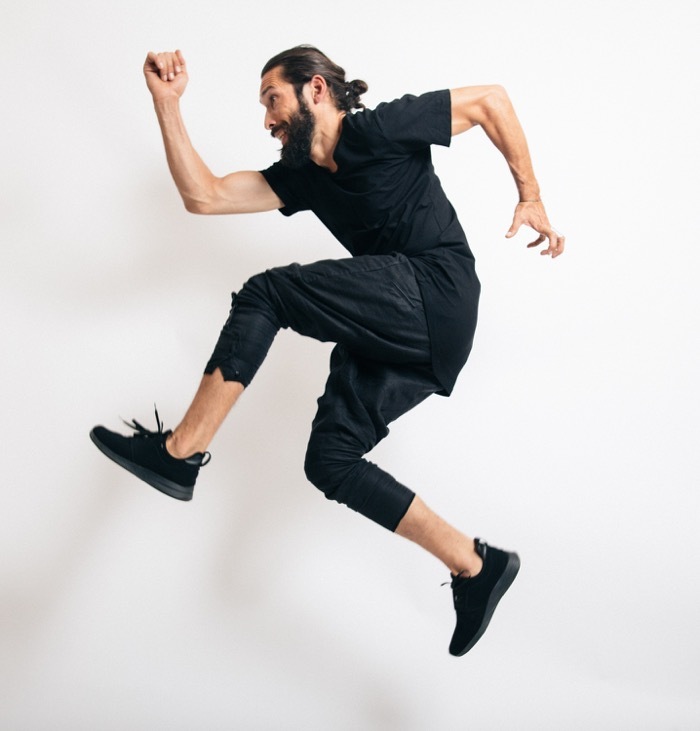 New to TVM this Sunday and the winner of TVM's Startup Stall initiative is Rodrigo Almeida with his ethical, eco friendly, sustainable menswear label - Indigo Monkey. 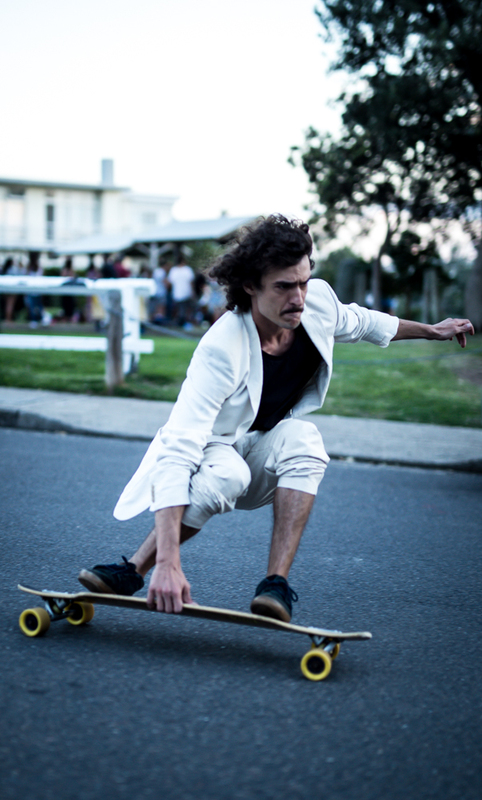 Rodrigo will be cruising up the highway all the way from Bondi Beach to join us this Sunday. "Indigo Monkey was created in 2015 after a trip to the States. I went to Burning Man, where the weather was extreme. Incredibly hot during the day and cold at night, so I felt it was necessary to have versatile clothes that can be adaptable to different temperatures. We needed clothes that were comfortable and easily add layers." We decided to create a capsule collection that is versatile and interchangeable. 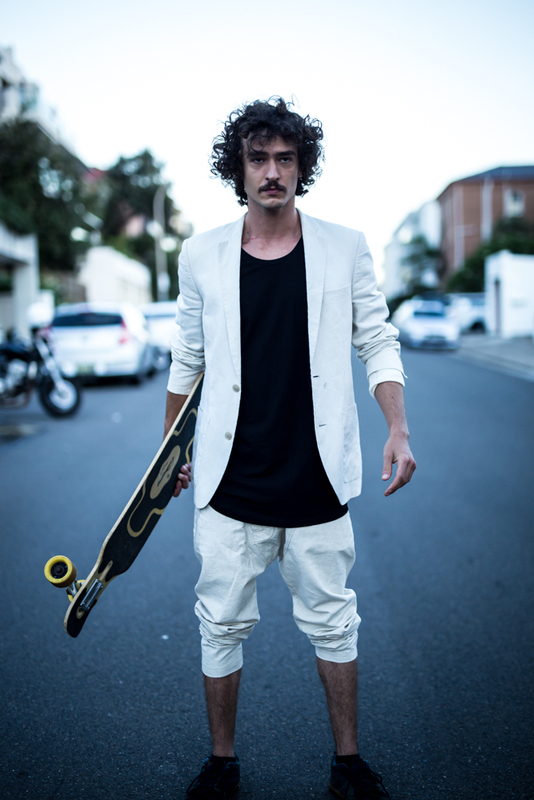 The current range includes drop crotch Linen pants, Bamboo drop crotch casual pants, soft Bamboo t-shirts and long sleeve Bamboo casual top. Growing up in Uruguay my mum and dad would only buy clothes for us once a year, instead my mum was always sewing, repairing and creating clothes for me and my brothers. She would include us in the process and we could choose the patches. As we grew up I would pass the clothes to my younger brother and he would to the youngest. When I moved to Australia in the pursuit for creativity and craft I attended CATC design school and studied Interior design, I didn’t feel very comfortable with the structure so I stopped before finishing. A few months later decided to pursue fashion and I attended a ‘hands-on’ fashion design school, In 2 mode. Later on, when I attended a natural Indigo dying workshop with master Aboubakar Fofana was when I decided to focus on sustainability and ethical practices. He transferred the respect for the fructose indigo vat, using organic materials and techniques. Incorporating ancestral techniques and crafts. It’s designed in Sydney-Australia and partially made in Sydney and Bali. I get my inspiration from ancestral techniques and simple way of living. I’m inspired by the slow fashion and the sustainable way of living. 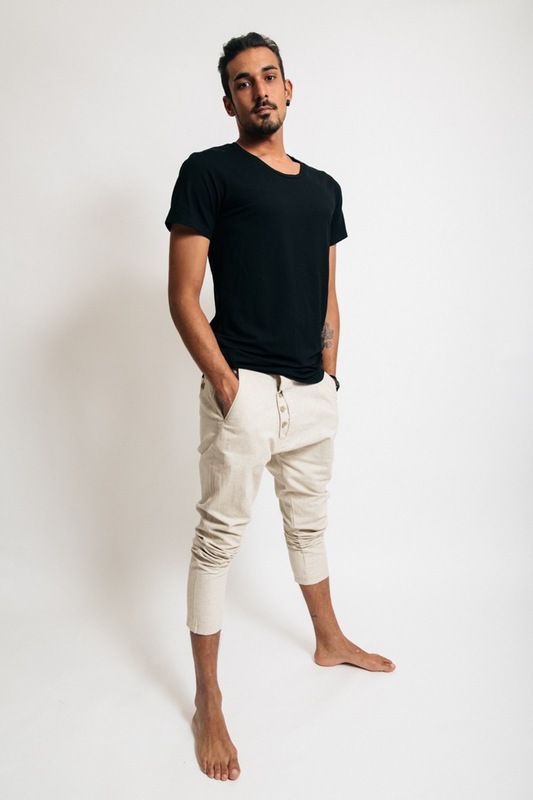 Drop Crotch Linen Pants, Bamboo Casual Pants, Travel Bamboo t-shirt, Casual long sleeve top. 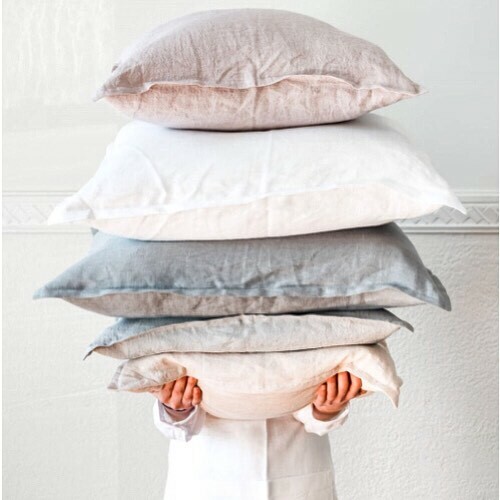 Nobel fabrics such as bamboo, linen and hemp, with organic natural colours such as beetroot red and natural indigo as well as shibori switching techinques. My studio is always pumping music and is filled with natural indigo vats for hand-dying fabrics. It’s a place for me to switch off my mind and loose myself in my creativity and enjoy getting my hands dirty. Techno house music and eclectic house music. I live in Bondi so I start my mornings with a swim in the ocean to clear my head and a coffee after my swim to get the day rolling. I like to surround myself with good music all day. I work as a social worker, so often my days are long and sometimes stressful. After work I always take time to retreat and work on Indigo Monkey and my creative designs. I like to read “Stories behind things” blog, Reformation magazine, Maker’s row blogs, The Clothing exchange publications. I’m always decked out in Indigo Monkey. I want help support communities that are affected by the fast fashion industry and be a part of the fashion revolution that promotes slow fashion and conscious consumerism. I’m currently working on introducing hand-dyed clothing using organic natural plants and ancient dying and stitching techniques from around the world. I’m planning to work with different communities around the world that have beautiful tradition textile forms, such as the Guatemalan highlands and Mali. I also want to work with African wax, bomber jackets and Chinese silk, mixing different ancient arts. 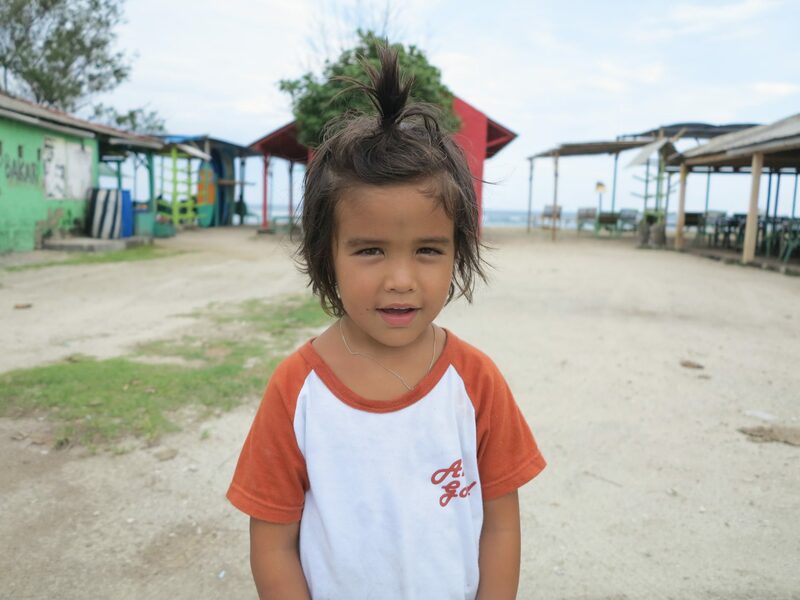 My hope is that with Indigo Monkey I am able to work directly with small and remote communities from around the world and share their ancestral knowledge. 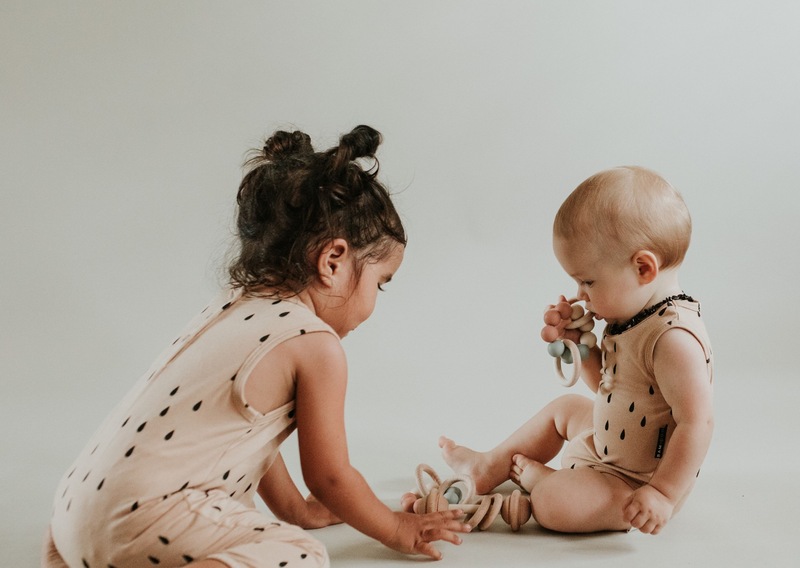 We chat to Leather Me Baby's Sarah Thomasson about the inspiration for starting her own label as a Mum of three and why she choose TVM as her platform. Tell us about how and when your label was created? Leather Me Baby started last November after the birth of my 3rd baby boy. I was looking for a way to combine my entrepreneurial spirit, life as mum of 3 young and active boys and my love of high end leather. My journey started when I was on the hunt for a leather bag to fit my mum lifestyle, as well as my active social life that didn't always involve having my kids. This was the inception of Leather Me Baby. A buying trip to Bali sourcing material with a friend lead me on a design journey. Prototyping a range of bags and accessories that fit my own personal style, that then translated to a category of products. 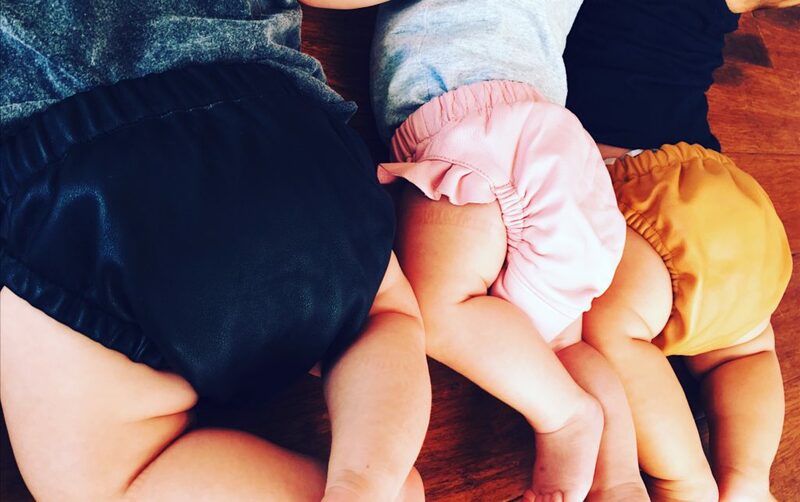 Leather Me Baby has created a bag that is not just a nappy bag. It's the perfect travel companion on a long or short haul flight or great for an overnight trip. It's versatile so whatever you would like to use it for. The LMB Nappy Sack fits all your changing needs, or your sunscreens and medicines, or a change of clothes just it case. 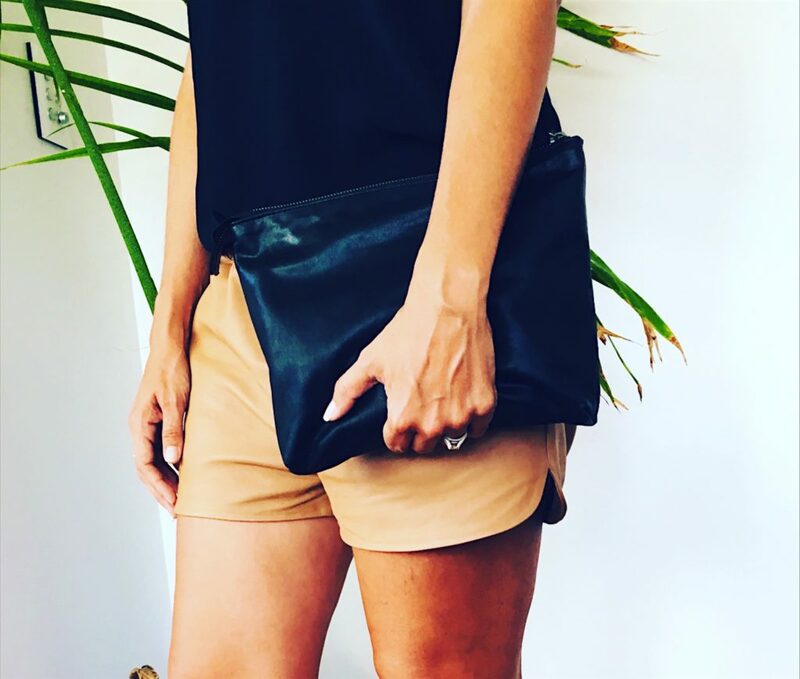 It also doubles as the perfect size soft leather clutch, great for a date night or girls lunch. The LMB Nappy Wallet was really designed for anyone who has used a nappy wallet before. They know these things are your best friend. Handy compartments for all your needs - wipes, nappys, creams, bags and even a spot for your phone! Finally the newest edition to the LMB range is our Bummers. These are the hippest things getting around and the frills on chubby little legs are to die for. Like most creative people I found myself seeking out opportunities throughout my working career that pushed my limits, and increase my interaction with design. However I could never really find something I was truly passionate about. That was until I started to sketch and design my own products. And as they say the rest is history. Designed in my little home office at Palm Beach on the Gold Coast and made in Bali. My love of leather and my needs as a mum of 3 little boys. The latest addition to our collection is the bummers. We are currently prototyping and collaborating on a number of new an innovative addition for Summer 17/18. 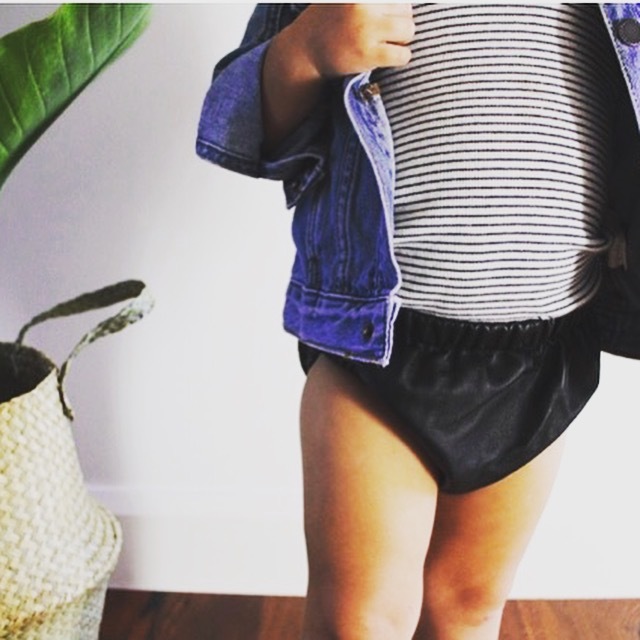 Everything leather for mums and bubs. My home is my creative space. I find that our open plan lifestyle and living space inspires me to think functionally, yet still being innovative and remaining true to the essence of the brand. Just like my design style, my taste in music is also pretty eclectic. So some days I might be listening to some mellow reggae, and then switch in to the diverse landscape that is the current top 100. A day in the life of me mostly starts with exersice to clear the mind ready for the day then on to mum dutys school and kindy drop off and then a little time for just me and the new bub. Sleep time is everything LMB. Sweet Child of Mine is a definate fave for the boys at the moment. And from the vintage collection I do miss Little X & Y. Anything leather, linen or my fav label at the moment is Augueste. And of course the mum favourite - a pair of Cons. What can we expect from the next collection/what are your plans for 2017 beyond? Our next release is all about style and function, with items mums never knew they couldn’t live without. I've just always found that wandering through TVM I feel connected, creatively, to many of the stall. Upon launch we knew that TVM was a perfect for for our brand. The chilled atmosphere and a hot coffee offers the perfect escape on a Sunday morning.